Photo by Gavin St. Ours. While most people associate lawyers with being inside courtrooms, there are many ways for lawyers to advocate for people outside of the traditional legal setting. The Gowen Group assisted a group of concerned citizens from Brentwood, MD to look into possible ethical improprieties among the members of the Town Council. Gowen Group Partner, Chris Gowen, himself a resident of Brentwood, recently submitted a memorandum on behalf of the concerned citizens to the Maryland State Ethics Commission, with positive results. The memorandum requested that the Town of Brentwood’s exempt status with respect to Maryland Public Ethics Law be revoked. 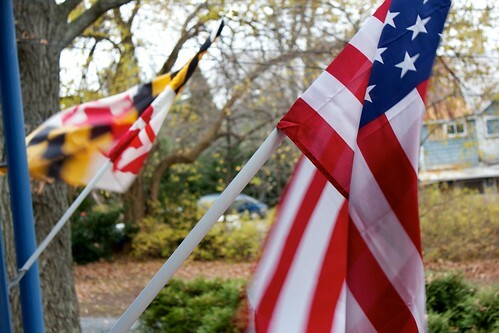 In the State of Maryland, many small municipalities are exempt from the Public Ethics laws by virtue of their size. Among the issues examined in the ethics complaint were multiple violations of the Town Charter including town officials holding more than one office at a time, repeated untimely filings of their audit in compliance with state deadlines; violation of the Town’s Charter and Code of Ethics, including: the fact that Brentwood has no Ethics Commission, as dictated by their code; violation of the Maryland Public Information Act, including no response to requests for information on the Town’s participation in the Energy Efficiency and Conservation Block Grant; and multiple violations of the Open Meetings Act, including the repeated lack on Council’s part of creating and approving meeting minutes on a timely basis and the holding of multiple executive sessions without providing the public with a list of the topics of discussion, persons present, and each action taken during the sessions at subsequent open public meetings; an attempt by several councilmembers to add Ms. Ann Boatwright Wells as a signatory to the Town Council’s bank account; and a current lawsuit against the Town Council and a former councilmember alleging conflict of interest, and ethics violations. Several days ago the Gowen Group received notice from the Maryland State Ethics Commission that the Town of Brentwood’s request for a full exemption was denied, and that the Town will have to adopt the conflicts of interest and financial disclosure provisions. You can read the complaint in its entirety below.